Geshe Ngawang Sonam was born in 1963 in Tibet. At the the age of five, with his two older brothers and parents, the family fled Tibet, alone, over the mountains to India. At the young age of 10 he was ordained as a monk. In 1995, after 22 years of study at the famous Sera Jey monastery in Bylakuppe, Mysore, India, Venerable Ngawang Sonam was awarded the prestigious academic title of Geshe (Equivalent to M.Phil in Buddhist philosophy). To achieve the Geshe title requires the ongoing demonstration of complete knowledge of the Vinaya (monastic ethics), Abidharma (Phenomenology), Madhyamika (The Middle Path), Pramana Vartika (Valid cognition), and Paramita (Treasury of knowledge). In 1997 Geshe Sonam was appointed for a one-year term as disciplinarian of Tehor Khamsten (the largest of the 14 Khamsten – House divisions). Between 1998 and 2000 he was elected for a three-year term on to the Committee for Philosophical Studies at Sera Jey. 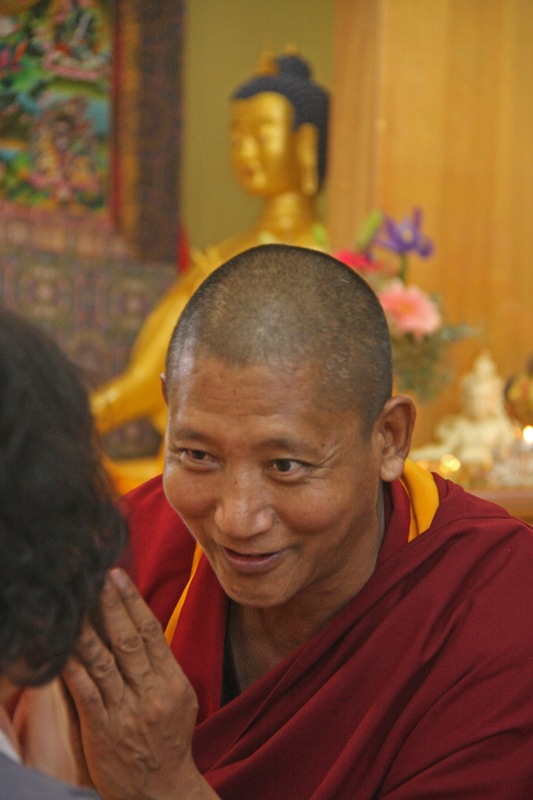 Between 2000 and 2007 Geshe Sonam was teaching Buddhist philosophy to pupil monks at Sera Jey and then from 2007 at the Tibetan Children’s Village. 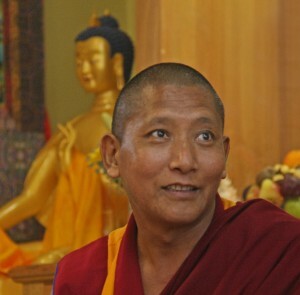 Since 2010, Geshe Sonam has been Abbott of his affiliate Tehor Khamsten. We are very fortunate to have Geshe Sonam at Hayagriva Buddhist Centre to teach us. For personal meetings with Geshe Sonam, contact the Spiritual Program Coordinator.